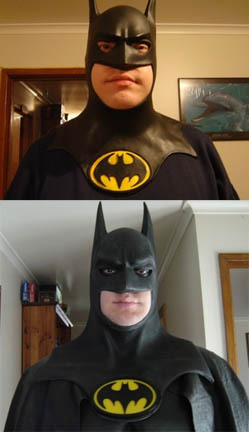 People ask me all the time, "What is the difference between a cheap Batman Mask Or Cowl and a professional Batman Mask Or Cowl?" This is a funny photo too and it is interesting so I thought I would share it. 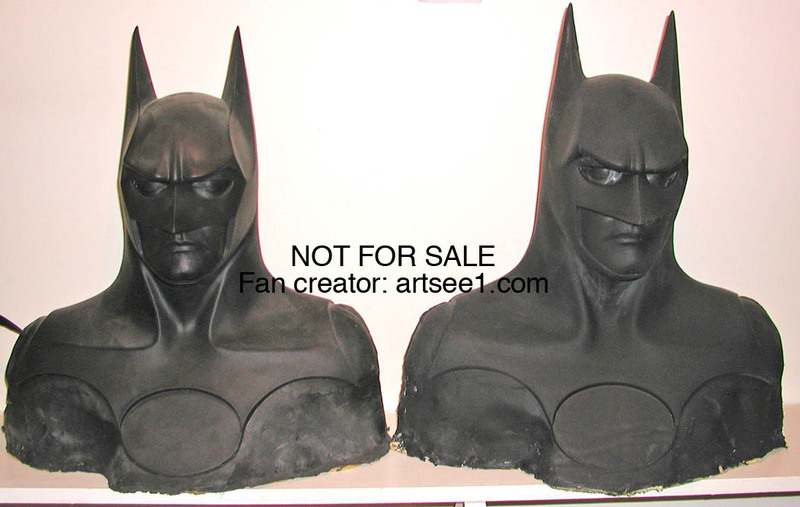 I molded my original cowl back in 1992 or so in a really soft special stone plaster and cast it there on the left with foam in it for a record piece. A present day casting now looks like the one on the right. Look at the difference and largeness that has resulted from doing a number of them over the years. Also the details are smoother now and more like the actual movie one. Weird huh?